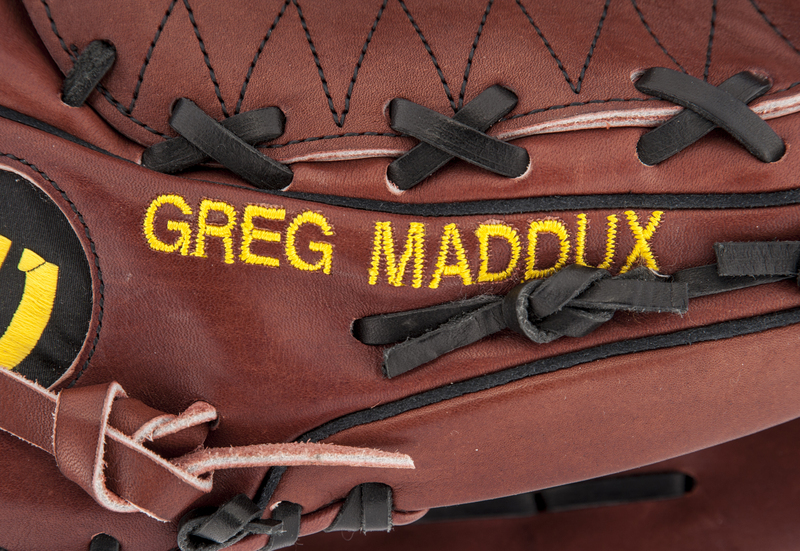 Right-handed pitcher Greg Maddux earned his stripes for the Hall of Fame for his 355 wins over 23 years. He won 20 games only once, but earned four consecutive Cy Young Awards in the mid-1990s. 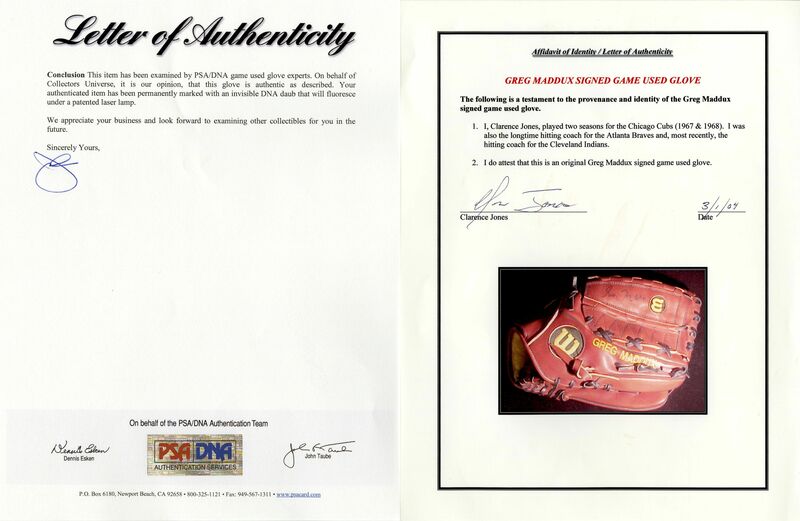 In addition to his rubber arm, “The Professor” earned 13 consecutive Gold Gloves and 18 overall for his deft fielding from the mound. 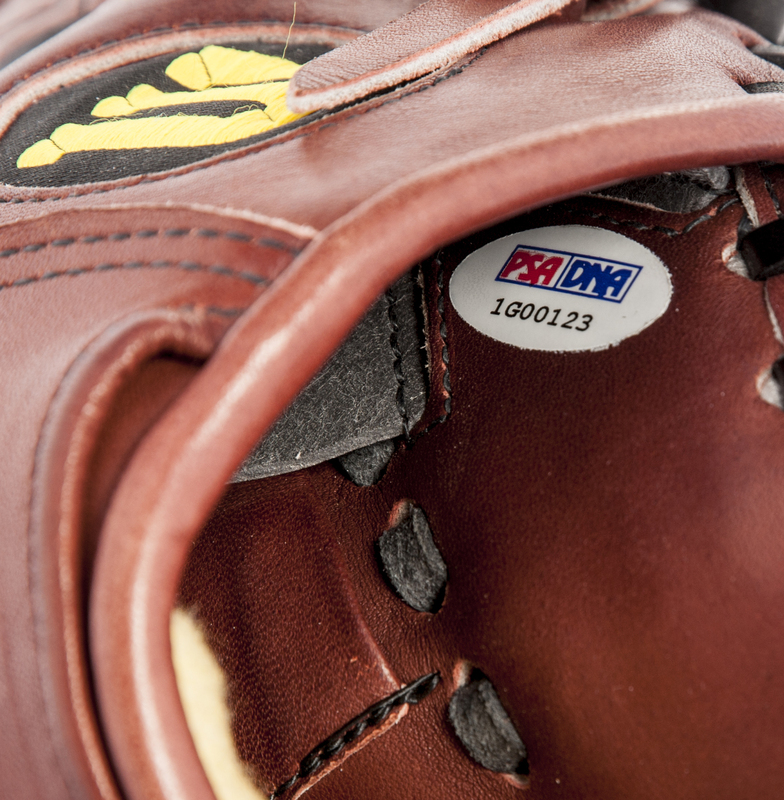 This left-handed Wilson Conform Model A2000 with adjustable wrist-band tension dial is game issued equipment. Maddux did not use this glove in a game. Therefore, it is in mint condition, branded with “Conform” logo in the pocket, “Wilson” on the palm heel, and “XLC” on the inner thumb. 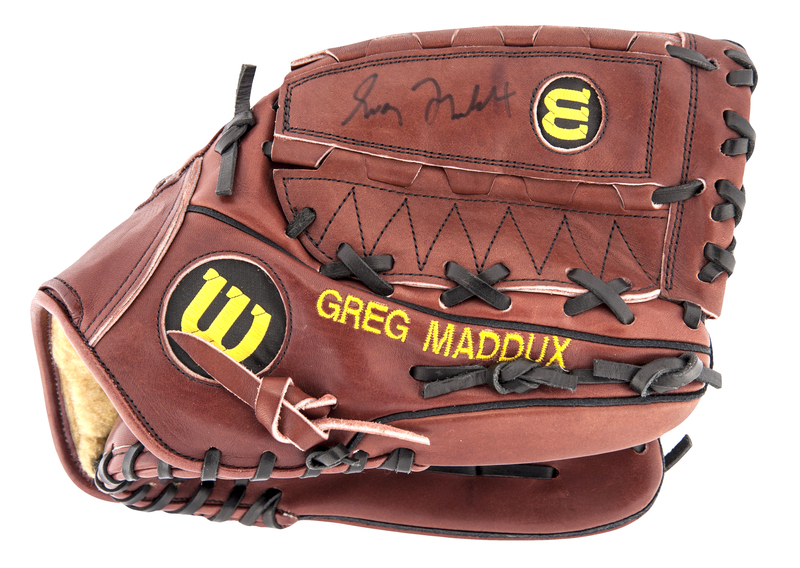 “Greg Maddux” is stitched in gold on the outer thumb. The circular Wilson embroidered “W” is found on the backside webbing and lower, outer thumb. 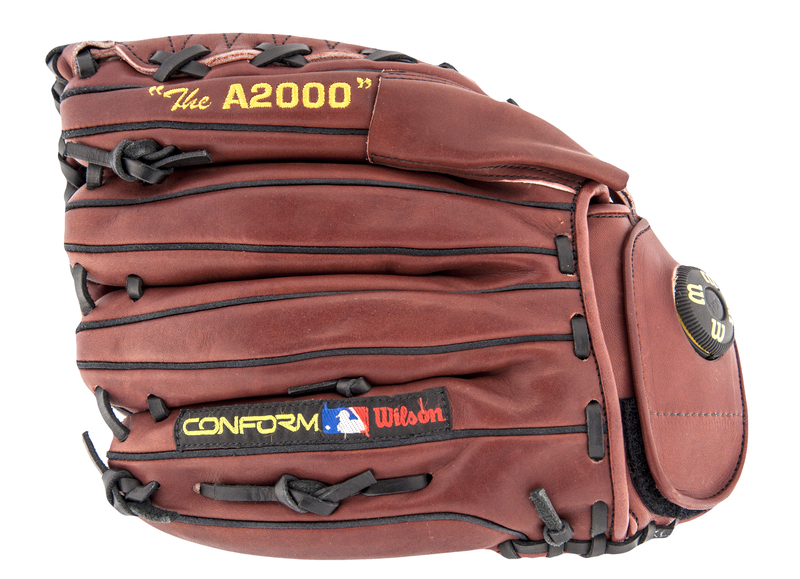 “The A2000” is gold-stitched on the outer index finger. 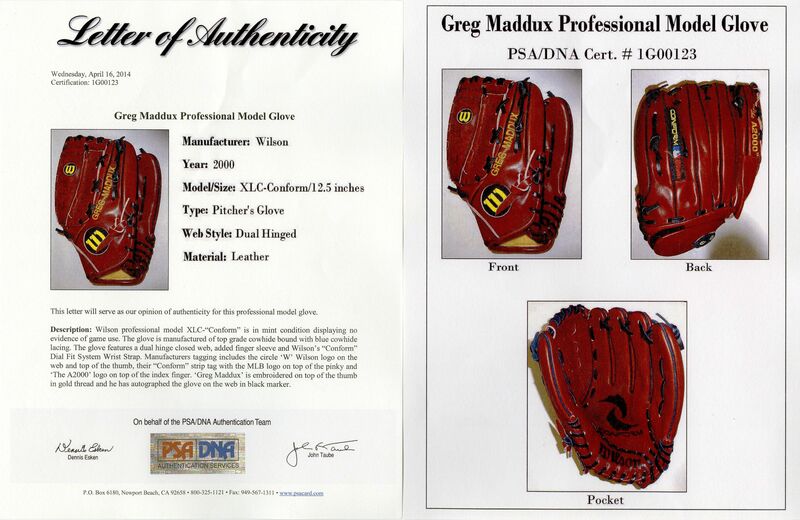 Maddux signed in black Sharpie on the middle, outer web. The signature is clean and clear. 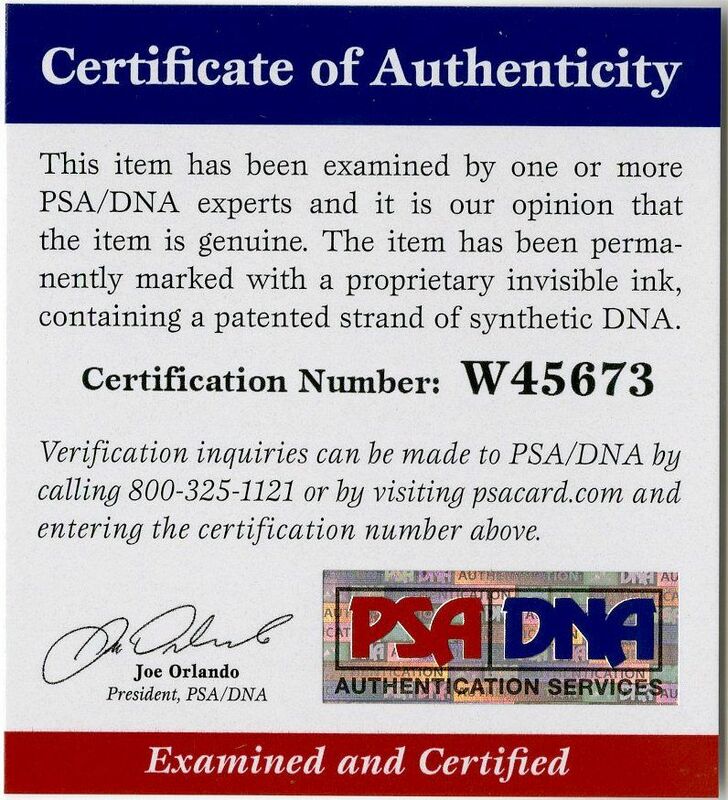 The glove and signature has been certified by PSA/DNA, with an accompanying COA. Auction closed on Saturday, July 19, 2014.